You have come across the computer panel in the computer. What does control panel in the computer do? Obviously it helps us to manage the overall working of the computers by installing and uninstalling the different computers. Similarly cPanel abbreviated as control panel can be used to manage the online website.cPanel is a Unix based web hosting control panel that provides a graphical interface and automation tools designed to simplify the process of hosting a web site. Hence it provide a very user-friendly interface to the users so that they can easily use it. cPanel utilizes a 3 tier structure that provides capabilities for administrators, resellers, and end-user website owners to control the various aspects of website and server administration through a standard web browser. In addition to the GUI interface, cPanel also has command line and API-based access that allows third-party software vendors, web hosting organizations, and developers to automate standard system administration processes. cPanel is designed to function either as a dedicated server or virtual private server. The latest cPanel version supports installation on CentOS, Red Hat Enterprise Linux (RHEL), and CloudLinux. cPanel 11.30 is the last major version to support FreeBSD. Application-based support includes Apache, PHP, MySQL, PostgreSQL, Perl, and BIND (DNS). Email based support includes POP3, IMAP, SMTP services. cPanel is commonly accessed on port 2082, with an SSL-secured server operating on port 2083. Once installed, cPanel cannot be removed (without extreme difficulty). The server must be formatted, and the operating system reinstalled. Similarly, it should only be installed on a freshly installed operating system with minimal prior configuration. 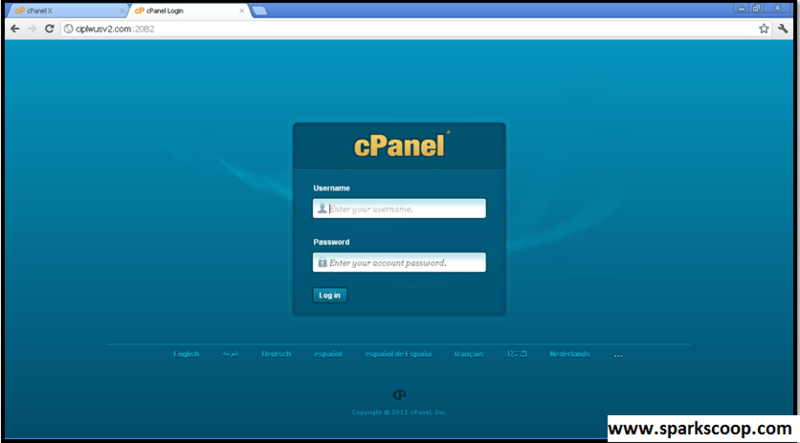 Here you will get the cPanel login page as follows that will ask you the username and password to enter. Enter the username and password, given by the company from which you have taken the hosting. On entering the “Correct” details. You will be redirected to the cPanel home page where you can use a number of features provided by it. 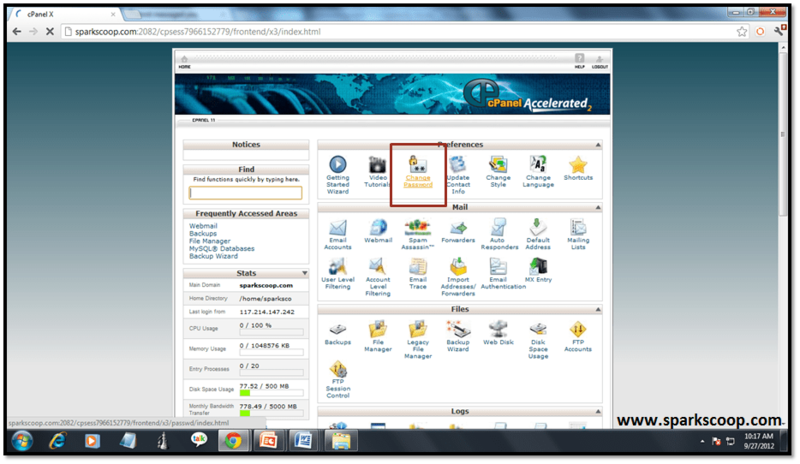 In the later couple of posts, we will see how to use cPanel for implementing basic functionalities.